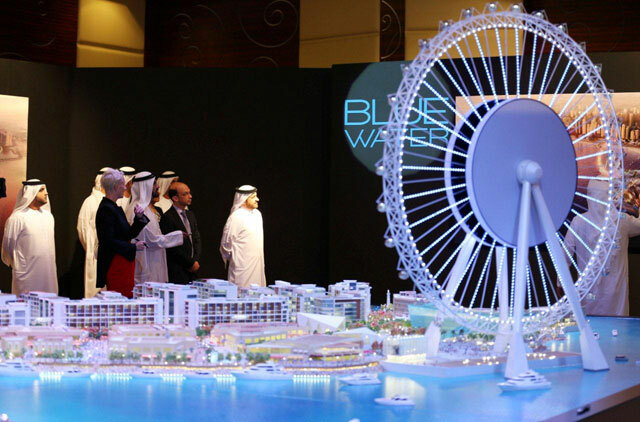 Dubai: His Highness Shaikh Mohammad Bin Rashid Al Maktoum, Vice-President and Prime Minister of the UAE and Ruler of Dubai, on Wednesday approved the 'Bluewaters' project, a unique mixed use development by Meraas Holding. Valued at Dh6 billion, the destination will be located off the Jumeirah Beach Residence coastline and is poised to emerge as one of the largest tourist hot spots in the world. Meraas has also unveiled plans for the Dh1 billion ‘Dubai Eye’ that will feature as a major component of the ‘Bluewaters’ Island development. 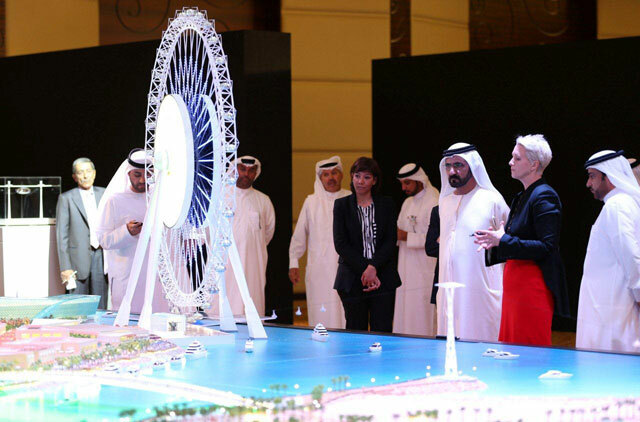 The world’s largest Ferris wheel will prove a must-visit experience for visitors and residents in the UAE and articulates Dubai’s long-term vision to be a key tourism hub in the world. ‘Bluewaters’ will also feature demarcated retail, residential, hospitality and entertainment zones. Market studies forecast that the project will draw more than three million visitors annually. ‘Bluewaters’ construction is set to commence in April, 2013. Construction for ‘Dubai Eye’ is scheduled for the second quarter of 2013. Hyundai Contracting and Starneth Engineering have been appointed as primary contractors for the design and construction of ‘Dubai Eye’. The 210-meter ‘Dubai Eye’ will offer breath-taking views of Dubai’s exotic coastline and iconic landmarks such as Burj Al Arab, Palm Jumeirah and Burj Khalifa. The piazza at the base of the wheel will serve as an entertainment zone and a unique venue for special occasions and conferences. Additionally, a large LED screen mounted on the wheel will create an innovative electronic platform for broadcasting, adverts, and interactive information. The destination will feature a bespoke ‘souq’ encircled by a promenade that will boast alfresco dining outlets serving a wide variety of cuisine. The ‘souq’ will also host an eclectic mix of retail stores and a ‘food hall’ offering fresh produce in a traditional ‘market’ atmosphere. Complementing the ambience, ‘Bluewaters’ will host a luxury five star hotel and varied residential options. Connected to the mainland with a direct roadway from the Sheikh Zayed Road, the destination will deploy a mono rail system that will transport visitors to the entertainment zone from the metro station. Alternatively, a pedestrian bridge will link the island to the JBR beachfront, while a cable car will ferry visitors to the entertainment piazza. Meraas is a Dubai-based development company with operations and assets in the UAE and overseas. It functions with a mission to create integrated master-planned communities that embody global standards of sustainability and quality.